Okay, let me start from the beginning. In August I applied for a grant to bring my fit brunch to Brownsville. I worked really hard on the application and I won it. The catch… was raising the other half of the funds. UGH, but I knew I had to do it. Over the last few years I’ve watched as my beloved Brooklyn turned into a little manhattan. I watched as the stores and people I loved to visit disappeared and kitchy stores that sell sneakers and cereal for $7 appeared. 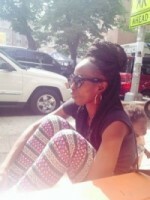 I basically watched Brooklyn gentrify and push anything brown out. And as this happened in the expected areas, I watched it start to creep into historically Black neighborhoods, first Bed-Stuy, then East New York and now my home, the place that gave me life Brownsville. The only difference in Brownsville was watching my friends and family who still reside there be the catalyst to the change. They are working on amazing spaces, changing the narrative about Brownsville and breathing new life into our home. I wanted to be a part of that. So when I was asked to join the Made In Brownsville board, I jumped at the chance. Even though it was at one of the hardest moments of my life, I knew I had to do it. And it helped me get back to me. I sat through one meeting and got so chocked up, that’s when I realized I needed to do more. But what? I’m just a Wall Streeter, I could help raise money but that wouldn’t fulfill me the way I needed. AND THEN came this…. so I applied. I realized that I could bring the message of complete Wellness back to my community and start with the mothers. Mothers of color who often are only given the three days it takes to recoup from birth to regroup and get strong again, whose message from the world is “Be our mule, because you’re strong, black and void of feeling”. 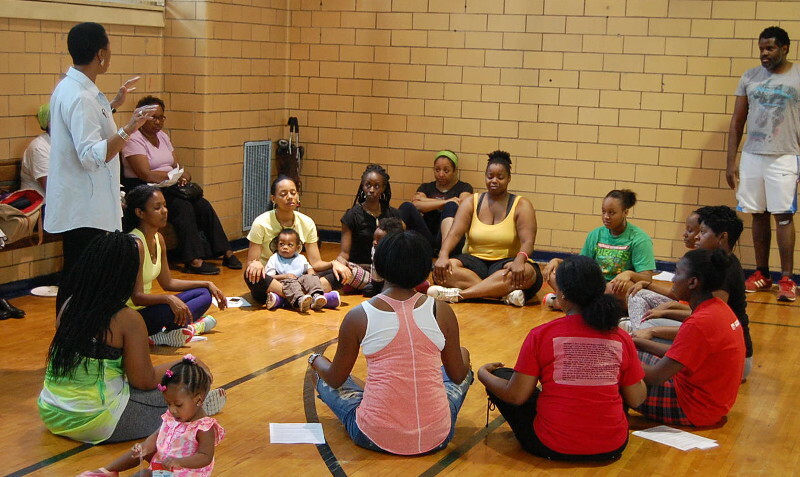 Baobab Fit – Brownsville will center mothers of color and their wellness journey. There will be no lectures about Paleo life, this will be an opportunity for Moms to connect with their deeper selves, kid free (though we will have babysitting). We are featuring two fitness classes, one lead by yours truly, a DJ and a magnificent spirit and chef, Marilyn Moore of Divine Appetite and an opportunity to introduce the new business that are popping up all across ‘The Ville. I am so proud of the work my team has put in, they have my back and have kept me focused on the end goal. We are looking for sponsors, volunteers and lots of love, light and energy from all!